Our Full-Body Shrink Sleeve Applicators can handle all of your full-body sleeving (and tamper-evident-banding) applications from 5 to 750 packages per minute. They can be easily integrated with your existing lines or we can provide a complete system comprising applicator, conveyor and heat tunnel. 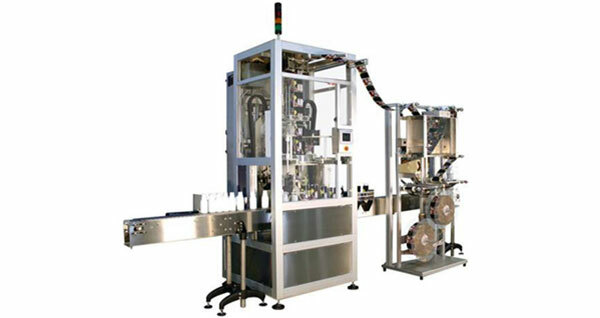 The sleeve labeller features a technologically-advanced film-delivery system that can accommodate a wide variety of container shapes. As an added benefit, tool-less changeover between sizes is quick and easy. All of the above features provide a flexible system designed to meet your current needs as well as accommodate future opportunities.